Everyone would love to have a secure home, knowing that being away does not automatically translate to your home being a target of burglars. Hence, there are many different kinds of home security systems in the market, but just which particular model should you pick? Honeywell has introduced its latest Smart Home Security offering that is a self-installed, all-in-one security product which is extremely simple to set up. It basically enables one to be aware of what is happening in and around a consumer’s home. This is truly a first-of-its-kind security system that works alongside Amazon Alexa, having been built into the device right from the get go. Over the course of time, it also has the benefit of being able to be upgraded and customized, complete with accessories that are able to fit according to the homeowner’s specific needs when it comes to overall comfort and security of the home. The heart of the Honeywell Smart Home Security system would be the Camera Base Station that boasts of an integrated 1080p wide-angle HD camera. 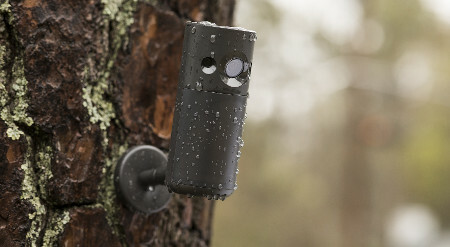 This HD camera is capable of night vision and 145-degree viewing, while bringing with it facial recognition that works alongside mobile app notifications. This enables you to figure out just when your loved one (children returning home from school, for example) has arrived safely home. Being integrated with Alexa, Amazon’s voice service, it has a high-quality speaker and a microphone array for hands-free voice control. So easy to set up right out of the box, the system is mainly controlled via the Honeywell Home app or your voice. It can double up as a home automation hub in order to control other connected Z-Wave devices that are in your home. Add-on accessories that are available include door and window contact sensors, indoor motion sensors that can alert you whenever it detects any movement, and indoor and outdoor Motion Viewers which also send similar alerts in the event of movement. The entire system will be accompanied by 24 hours of video cloud storage, but additional video storage options can be purchased as well.